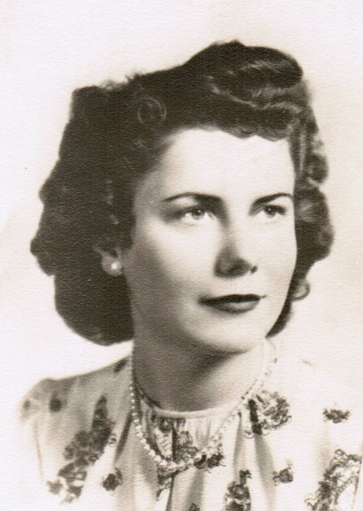 Neiva J. Chapin, age 92, died Wednesday, July 4, 2018. She was born March 18, 1926, in Conneaut, Ohio, the daughter of Arleigh and Effagene Congdon. Neiva was a lifelong resident of Conneaut until her later years when she moved to assisted living in Macedonia, Ohio. Neiva had many hobbies, some of which included reading, needlework, and painting. Her membership in the Conneaut Artist Guild was especially enjoyable. She also enjoyed music, played piano in her youth, played the French horn in high school, and later learned to play the organ. Neiva was a member of The New Leaf United Methodist Church where she served on the Altar Guild. She was also a volunteer at the 50/50 Barn. Some may remember her working part-time at Marianne’s Candy House. Survivors include her daughter Linda (Mike) Kowalczyk of Macedonia, Ohio; her son R. Scott (Gail) Chapin of Powder Springs, Georgia; four grandchildren, Allen (Lily) Kowalczyk of Houston, Texas; Erica (Casey) Greene of Acworth, Georgia; Janine Kowalczyk of Hermosa Beach, California; Rob (Melissa) Chapin of Dacula, Georgia; and two great-grandchildren, Merlin and Rosaline Chapin. She was preceded in death by her husband Chuck; her sister Dorothy Bennett and her husband Harold; and her sister-inlaw Donna Hamm and her husband Frank. Memorial service will be held 11:00 AM Saturday September 22, 2018 at the D-Day Sanctuary (formerly the New Leaf United Methodist Church) 283 Buffalo St., Conneaut. Memorial contributions may be made to New Leaf United Methodist Church, 110 Gateway Avenue, Conneaut, Ohio 44030. Envelopes will be available at the funeral home. Arrangements entrusted to the Marcy Funeral Home, 208 Liberty St., Conneaut. Sign the guestbook at www.marcyfuneralhome.com.